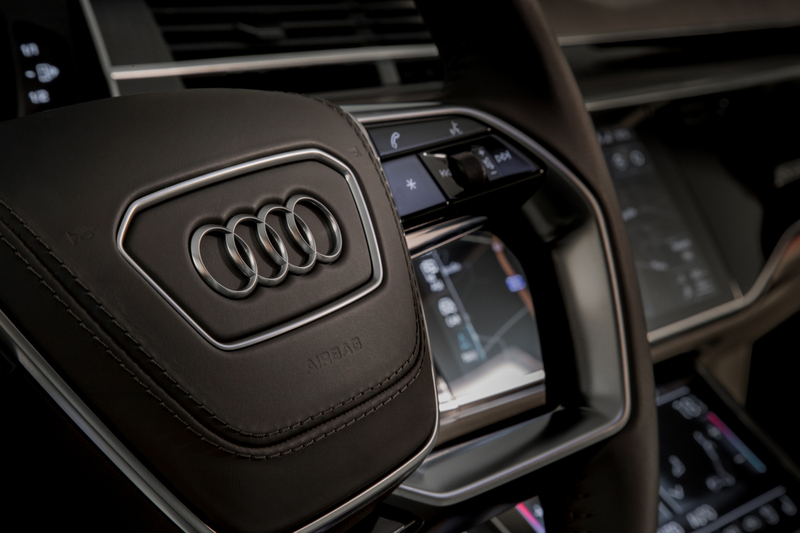 Blind Tasting With The New Audi A8 – Hands On! It started with a short walk across the grounds of Audi’s humongous plant in Ingolstadt towards a large studio building. 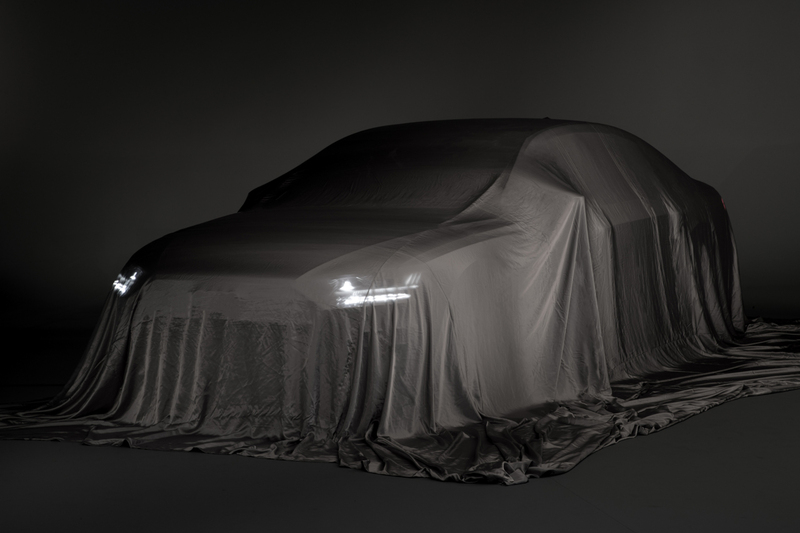 The car was right there… The large, wide body visible under a curtain, just screaming to be unveiled. 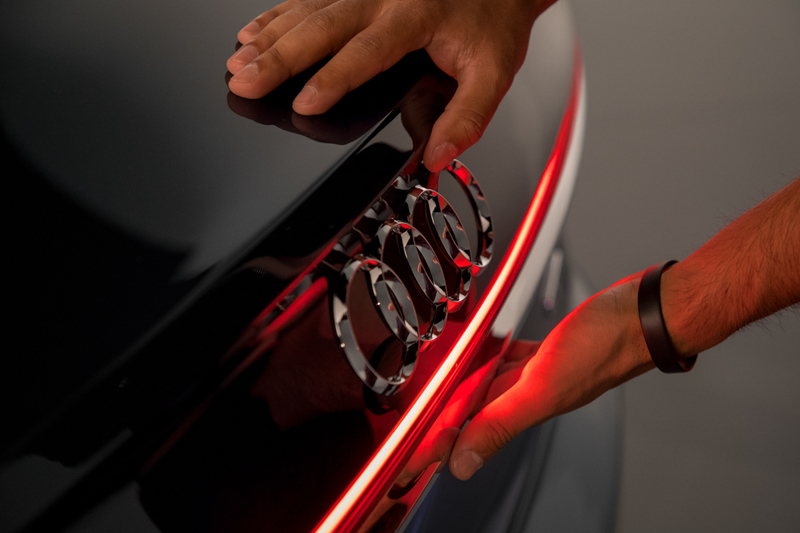 With a quick introduction to the team behind the car and those involved with this special event, I got to have some one-to-one with the new Audi A8. 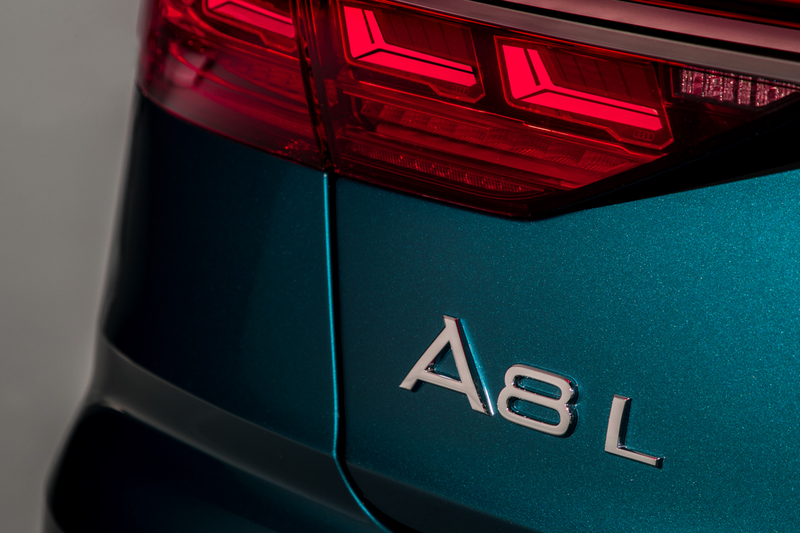 This involved our team of experts who have crafted the car showing us around the new A8 and inside it, without actually allowing us to see it in the flesh. Touching the car and utilising our senses rather then taking a straight visual approach and missing out on the extreme attention to detail the company has clearly pushed the boundaries to bring to this vehicle. 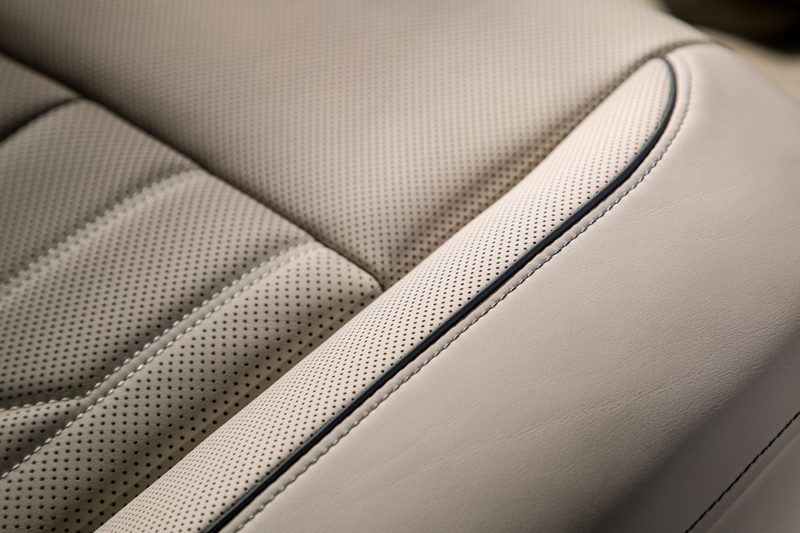 Every interior finish is incredible to the touch. Blends of glass, brushed aluminium, leather and wood all present a magnificent, opulent level of luxury, which is instantly felt when you sit in the rear seat. I was pleasantly surprised to recline with a massage and fully extend my legs in the back, which means we sure have some legroom. 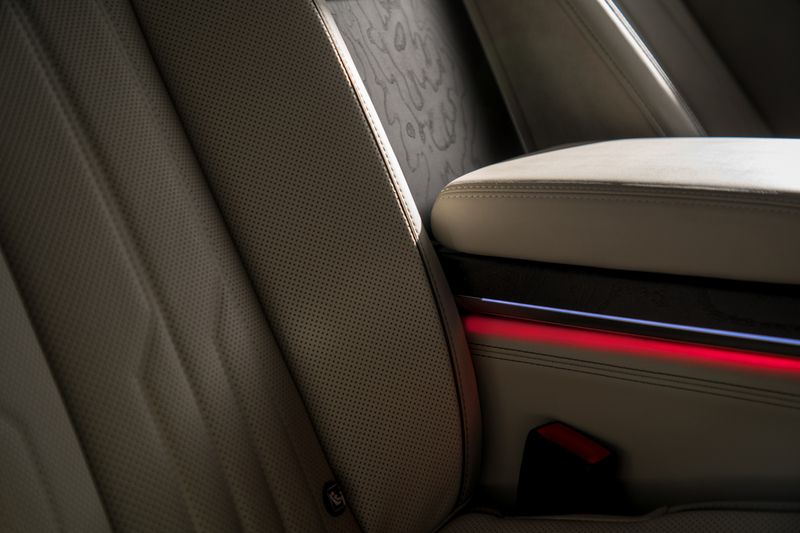 The comfort is second to none and there is also a genius leather head rest, which just tops off the comfort of this executive vehicle. 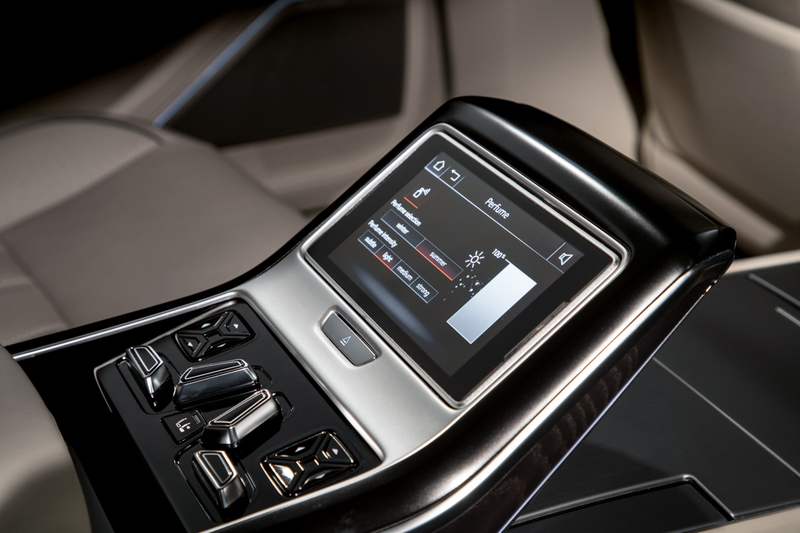 The premium Bang & Olufsen sound system was demonstrated as were some of the incredible infotainment capabilities. I was able to input destinations and freely handwrite on the glass surface in the centre console. Whilst blind of course. The steering wheel and driving position felt great. Sturdy, strong and with such quality of build, just like every other element in the car. There is also an underlying sportiness to everything I felt, but I can only say so much, thanks to Audi’s very interesting way of showing me this car. Lets talk about what we can on the exterior. It feels good. 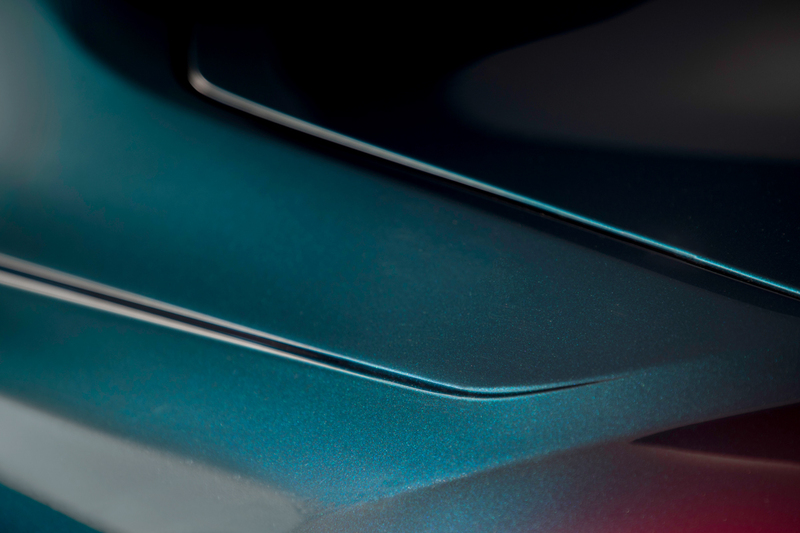 The car has muscular edges that curve gracefully around the body, yet form aggressive lines at the front and rear. I was also able to feel the panoramic glass roof and the huge wheels, which are cut so technically and sharp, but smooth to the touch. 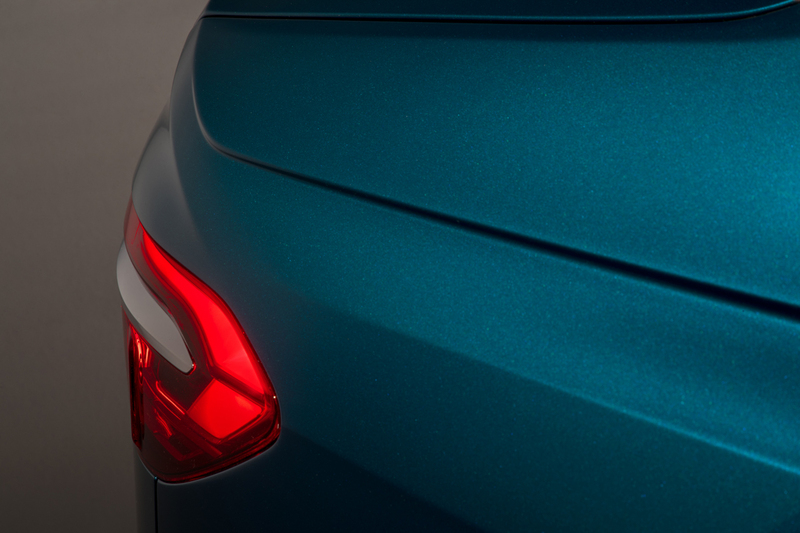 The body work is sculpted so seamlessly and whilst moving around the car, each edge and sill simply feels like premium auto. 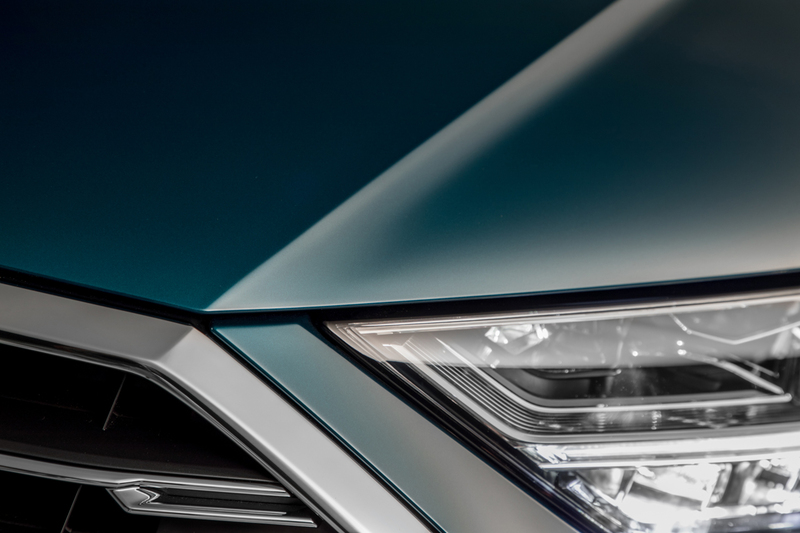 With not much else to say, except for how excited we are to drive the car at its official launch, we are so happy to share with you some impressions of the new Audi A8 a whole week before the world gets to see it. Feast your eyes, guys.